The task of pruning orange trees won't end out in the field if Dr. Jésus Alba has his way. 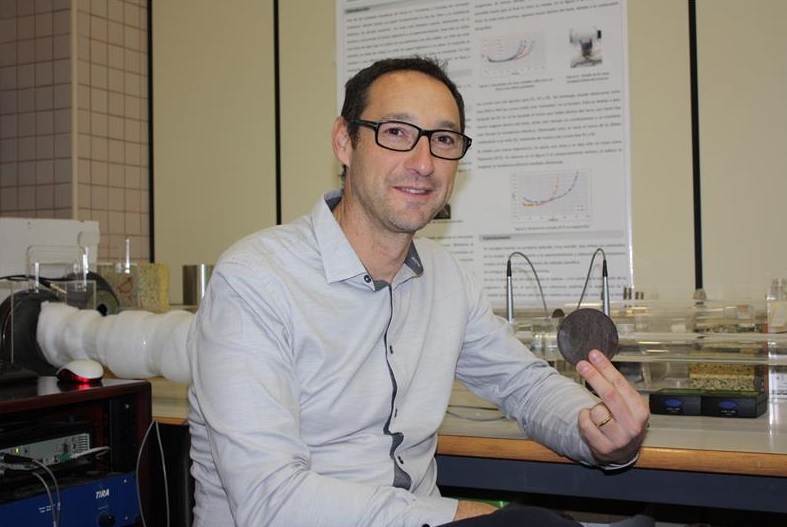 Alba and his colleagues in Spain have developed a new acoustical insulating board that incorporates fibers from orange tree pruning. Using the pulp from discarded orange tree fibers, Spanish researchers say they have created a building board that boasts better acoustic insulation than gypsum. Not only does the product replace new material with natural agro-waste, but the fiber-rich board provides "150% improvement" in acoustic insulation over conventional laminated gypsum, according to a research announcement by a Spanish academic consortium known as RUVID. Alba's research team hails from the Universitat Politècnica de València and the Universitat de Girona. 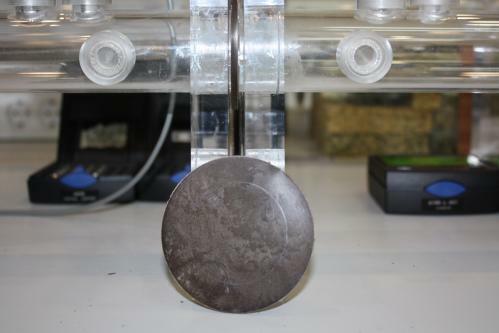 The group, known by the Spanish acronym LEPAMAP, "has extensive experience in the field of compound materials strengthened with natural fibers," says Dr. Pere Mutjé of UPV. In the current project, raw materials for the boards come from the defibering of the pruned tree waste. The pulp-powered mix also incorporates polypropylene, the common plastic used in a wide variety of consumer products. Acoustical testing showed that the fiber-filled boards "provide an acoustic insulation potential of about 29 dBA, and the conventional laminated gypsum boards are usually at 27 dBA," say Alba and colleague Romina del Rey. Dr. Jésus Alba leads a team of researchers who specialize in biobased building materials. The 2 dBA difference represents "a 50 percent improvement in the acoustic efficiency of the boards, in comparison with gypsum boards," the researchers said. If the team sandwiches an absorbent wool between two of its boards, "the improvement is about 5 or 6 dBA, which means it will insulate more than double the conventional system," they added. The fiber board's mechanical properties are "better than those of gypsum boards," says Alba. "...[W]ith the same board thickness, the acoustic insulation is higher...."
Alternatively, he said, a thinner fiber board can achieve the same insulation as its thicker gypsum counterpart. The material meets the objectives of the European Commission's Horizon 2020, the seven-year, $84.2 billion research and innovation program, the team says. 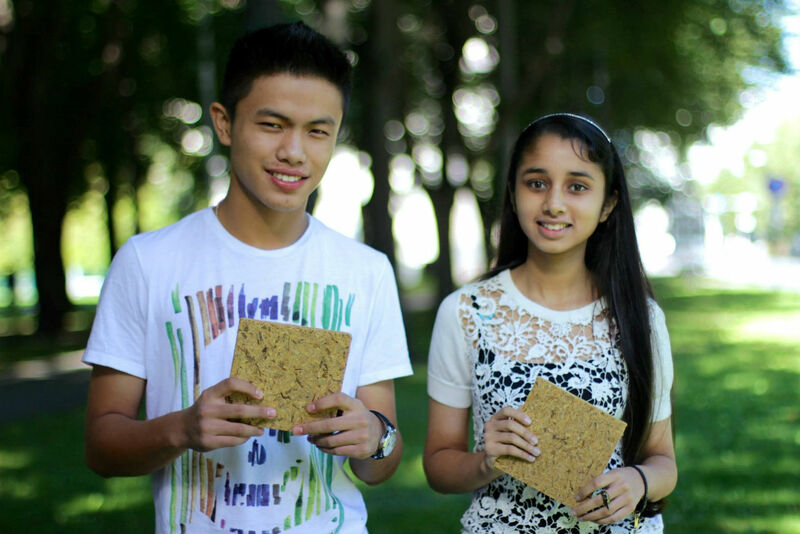 Bisman Deu (right), 16, has developed a particle board, made from husks and straw, that can withstand extreme weather conditions. Her team includes Rayvin Thingnam (left). The research also has been published in the journal Construction and Building Materials. Mutjé's team is now pursuing the use of ground olive pits in building materials. He calls such research "a leading example" of the current development trend in agro-waste-based building materials. That growing field also includes green wood made from rice waste; concrete from sunflower seed husks; and new homes made from straw. Nothing is mentioned about fire resistance of the orange fiber-rich board, only sound. Gypsum board has fire ratings based on thickness I believe. Collecting, drying and processing branch trimmings is likely to be more labor and fuel intensive than simply mining gypsum or using gypsum from coal plants (flue gas desulfurization typically creates gypsum.) Still an interesting approach - I wonder what the projected costs are at commercial scale.